Any towing service or roadside assist should have its fleet. These vehicles can get us where we need to be and can handle bringing you and your vehicle to where they should be. If you are unsure whether or not we are the right for your job, take a look at our fleet. When you call on our towing service, one of our many vehicles will attend to you. Each one is well-maintained and the best in their respective fields. We have tow trucks for every occasion. If you need towing or road service, we are just one call away. A majority of our fleet consists of vehicles that can tow anything up to a height of 2.2 metres. Each one is fine-tuned for maximum performance, and always ready to provide any assistance you may require. We also have heavy-duty towing vehicles for those tougher jobs. Whether it is a bus or truck, or any bit of heavy machinery, we have something in our fleet ready to get it going. Our fleet also has four Hino tilt side with a second car pick up function. With a seven metre tray and 4.5-tonne pickup capacity, these beauties can tackle the heaviest things we encounter on the road. For the truly heavy-duty jobs, we have two Hino tilt side equipped to carry up to three vehicles. They boast ten-metre trays and a ten-tonne capacity, letting them handle some of the toughest towing jobs we’ve ever had on our plate. 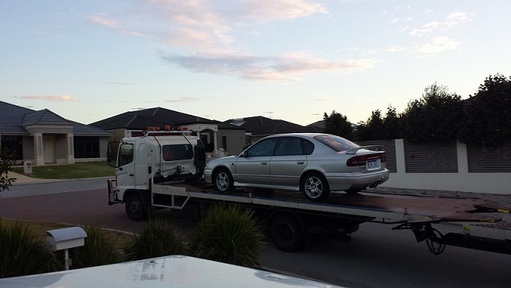 We also have a small number of specialised vehicles for tasks such as accident recovery and roadside assistance tasks. Whatever your issue, if you can call us, we have something in our fleet that can help. Don’t hesitate. When you encounter a roadside emergency, call us. Our mechanics and specialists will be there faster than even John Hughes service.